My guest today is Julia Jacklin. 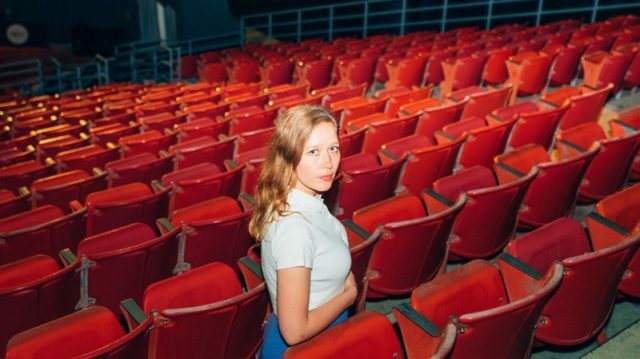 Julia Jacklin is Australian born singer who has just released the album “Crushing” and it is crushing. It is a fantastic album that is full of personal stories and also just has this really beautiful sound to go along with her voice. We’ve been playing her song “Head Alone” and I set up this interview last week because she was in New Zealand, so she is a day ahead of us, bit of a time difference and we recorded it then. My guest today is Julia Jacklin. Justin Barney: What I want to do is learn a little bit more about you and the kind of music that you’re listening to. What is the last song that you really dove deep into and couldn’t get off your head? Justin Barney: Yeah, that’s great! Song two this week is my pick. A song that I can’t stop listening to is “The Gypsy Faerie Queen” by Marianne Faithfull featuring Nick Cave. Marianne Faithfull has been making music since 1965. There are few musicians that have had a career for over 50 years. Age does something to a voice and Marianne Faithfull’s voice is my favorite part of this song – I love it. Who else is making music like this? No one but Marianne Faithfull. Justin Barney: I am here with our intern, Raquel. What’s one song you can’t stop listening to? Raquel Hafner: One song that I can’t stop listening to right now is “It’s Called: Freefall” by Rainbow Kitten Surprise. Justin Barney: Why is their name Rainbow Kitten Surprise? Raquel Hafner: [laughs] I know, it’s a quirky name. I was reading an interview with them recently and basically the band members summed it up as their name is comprised of the three most happy words in the English language: rainbows, kittens and surprises. Justin Barney: Why do I hate that. Why does that make me not like them? Raquel Hafner: Yeah it’s not for everyone. None of those things are really for me, not necessarily a fan… but the band is great and the song is great. Justin Barney: So what do you like about the song? Raquel Hafner: I really like the song for the toned-down way it’s sung, it’s simple and has a really interesting story told through a poetic stream of consciousness. Justin Barney: What’s the story they tell us? Justin Barney: I love that. I love the idea of calling up your friends, because that’s a thing I do at night. And calling the devil, that’s great. Raquel Hafner: Yeah, it’s cool. And like you said, it puts in these everyday-life scenarios but with higher stakes, I’d say. Justin Barney: That’s a great concept. Let’s listen to it. The final song this week, song five, is my pick. One song I can’t stop listening to is “Talk” by Lomelda. You know me, this song is soft, it’s gentle. It’s recorded in this way that you can hear her tone moving around in her mouth. It sounds very personal and quiet and close. This album is sixteen minutes long, it’s got eleven songs, each song comes in at a little over a minute. Each song is just a little post-it note of a song that’s sung in this way that is really beautiful and gentle, in a way that I can’t help but love.